No one wants rotten tomatoes. But do you want cold ones? Sure, tomatoes stay fresh longer in the fridge. But as frustrated chefs and picky eaters know, they also lose their flavor! Why? Harry Klee from the Plant Innovation Center at University of Florida wanted to find out. 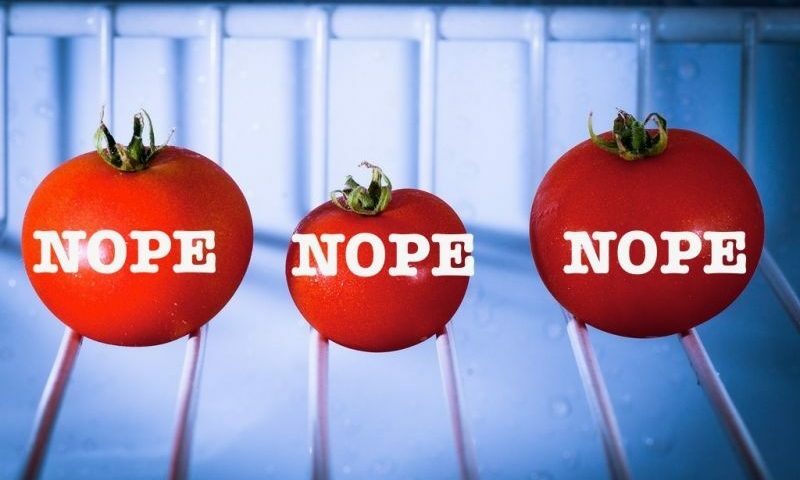 It turns out, tomato flavor is a combination of sugars, acids and groups of chemicals called volatiles. Think of these volatiles as flavor molecules. Klee and his colleagues chilled tomatoes for eight days. Then they measured the amount of these molecules. What did they find? That chilling the fruit decreased the amount of flavor volatiles in the tomatoes. Genetic analysis revealed that the genes responsible for volatile production were essentially shut down. Sadly, these genes died as a result of hypothermia. The scientists’ next mission? To identify tomato varieties that can survive even the most frigid Frigidaire. And then the other tomatoes will just have to “catch up.” Sorry!